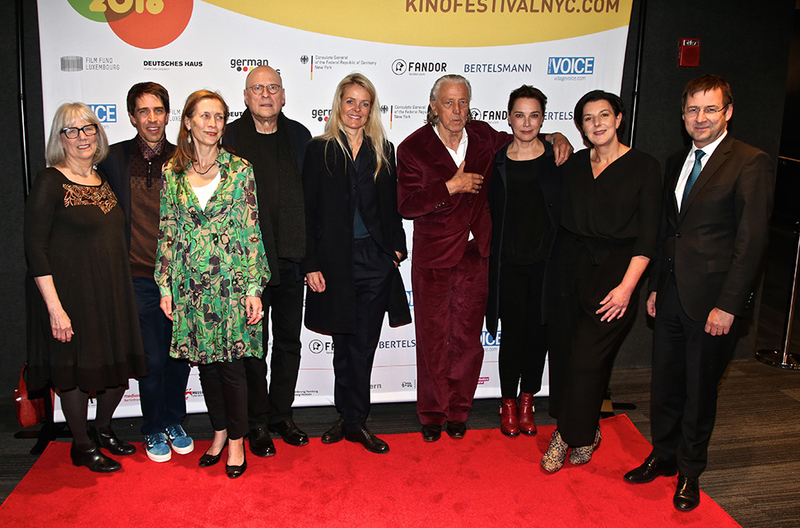 GDR history, warring banks or bar talks – the fifth edition of KINO!2018 Festival of German Films in New York (6 – 12 April 2018) was held for the first time in New York’s latest “state of the art” (Deadline) arthouse cinema Landmark at 57 West. Nine new productions, a silent film and the NEXT GENERATION SHORT TIGER 2017 program of shorts were presented by seven guests. The screening of IN TIMES OF FADING LIGHT followed by a Q&A with the director Matti Geschonneck opened the festival and was very well received. Directed by Christian Schwochow, the first two episodes of the series BAD BANKS, were shown in the attendance of producer Lisa Blumenberg and actress Désirée Nosbusch. WHEN PAUL CAME OVER THE SEA, which was named Best Documentary at the Shanghai International Film Festival, was presented by director Jakob Preuss, who also took part in a packed panel discussion moderated by Professor Noah Isenberg and organized by the Deutsches Haus at NYU. The supporting program included a roundtable talk on “FRAUEN POWER: German Women Filmmakers Making Their Mark”. Lisa Blumenberg and Désirée Nosbusch took part along with Marieke Schroeder, the director of BAR TALKS BY SCHUMANN. She was joined by the film’s charismatic protagonist, the bartending institution Charles Schumann, for a Q&A. In addition, director Nick Baker-Monteys answered the audience’s questions about THE FINAL JOURNEY. Connoisseurs of German film classics loved the silent film VARIETÉ by Ewald André Dupont presented in cooperation with Bertelsmann. The live musical accompaniment was provided by the pianist and multi-instrumentalist Stephen Horne and percussionist Martin Pyne. Ira Deutchman, a professor at Columbia University and a film producer, introduced the film. The VoD service Fandor was the exclusive partner of the KINO! Audience Award for the third year in a row and created a curated online program of German “Festival Favorites” for U.S. online viewers. This year’s Audience Award went to the series BAD BANKS, which is available in the U.S. on Hulu.